Hello friends! Yay for Friday! I hope you all had an amazing week. Our week was just that...amazing. It was the first week in literally forever since we have had NOTHING on the calendar. Truly a miracle in this house and we certainly made the most of it. The weather was fantastic and the Indians were in the plays offs so we just enjoyed having home cooked meals at home and watched the Tribe. The perfect week! As I mentioned above, our beloved Indians have been in the playoffs and clinched a spot in the World Series on Thursday. To say this city has gone nuts is an understatement. I couldn't be happier for my below city and baseball team and anxiously awaiting the start of the World Series next week. It's such a fun time now for our family, our kids are getting older and starting to get to know our local sports teams. Playoff game nights in our house are a family event now and it's so fun to root for our Indians as a family. Warm Fall weather is what I have also been loving this week. The tree tops might be telling a different story with their slow change in color, however, we have had record breaking Summer-like temps all week which has been simply fantastic. We have certainly tried to make the most of it by hitting up 2 pumpkin patches this past weekend and playing outside every chance we get. We have been enjoying WAY to many sugary Fall treats (someone needs to hide the Halloween candy...stat!) of the season including these Pillsbury Pumpkin pre cut cookies. My family loves them and I will buy one box per season for us to enjoy. Yum!! Healthy kids. This has been probably my biggest favorite of the week and something I am SO thankful for. We had been going through a rough patch since the end of September and finally had our first healthy week in a LONG time. We had a little bit of a scare on Thursday, I got a call from the school saying that Jillian had a stomach ache and to come get her, however, it turned out to be nothing and she was completely fine the next day. We are just SO over the back to school germs in this house already that I am praying for a healthier Winter. Aren't their school pictures cute this year? Jillian lost both of her top teeth a few days after this was taken, so glad to have one last pic before they fell out. I was just thinking about your picture of your house last year when you took the shots showing how different it was in just a few weeks time! Have a super weekend. I am a Mariner fan who is rooting for the Indians! Woohoo! 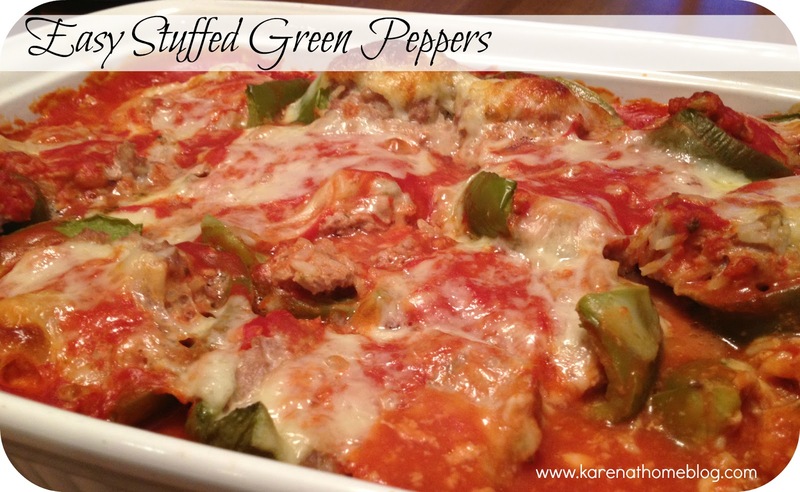 Also, those easy stuffed peppers look and sound AMAZING! Have a great weekend!